Jurnee Smollett-Bell visits 'The Late Show With Stephen Colbert' at Ed Sullivan Theater in New York City. 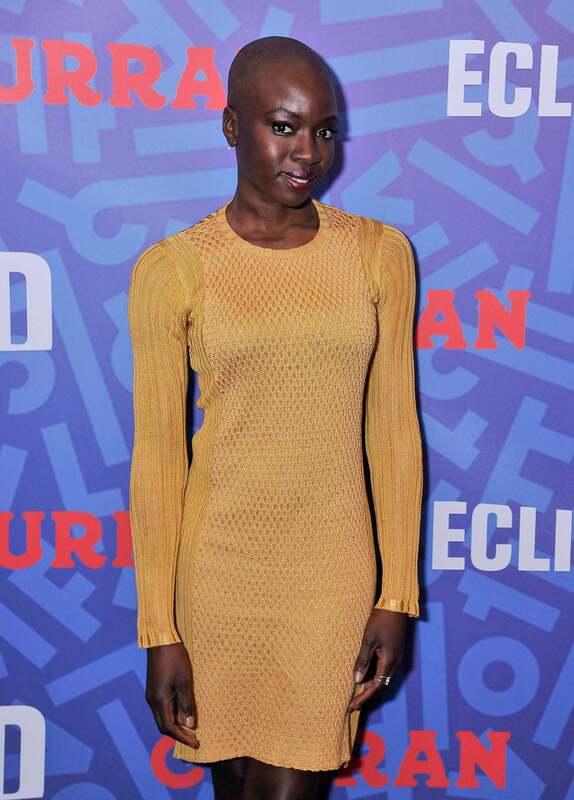 Danai Gurira celebrates Women's History Month on it's Opening Night of "Eclipsed" at the Curran Theater in San Francisco, California. 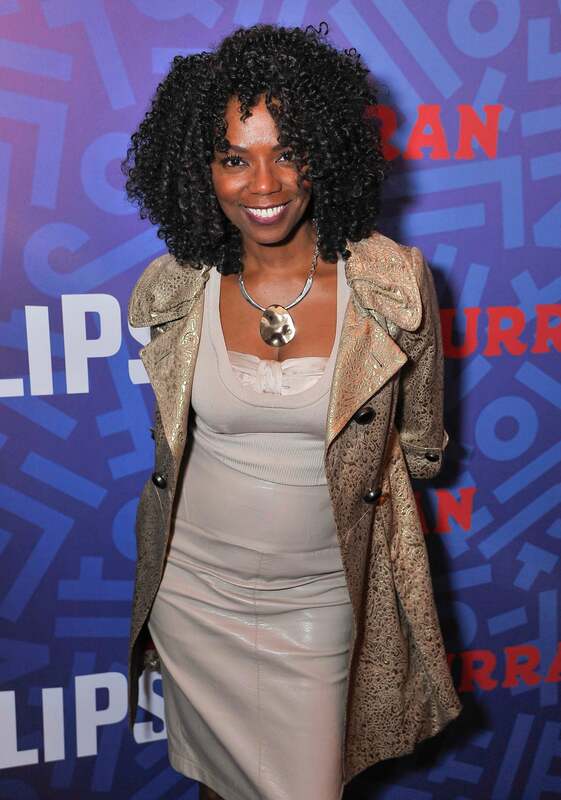 Vanessa Williams attends the celebration of Women's History Month on it's Opening Night of "Eclipsed" at the Curran Theater in San Francisco, California. 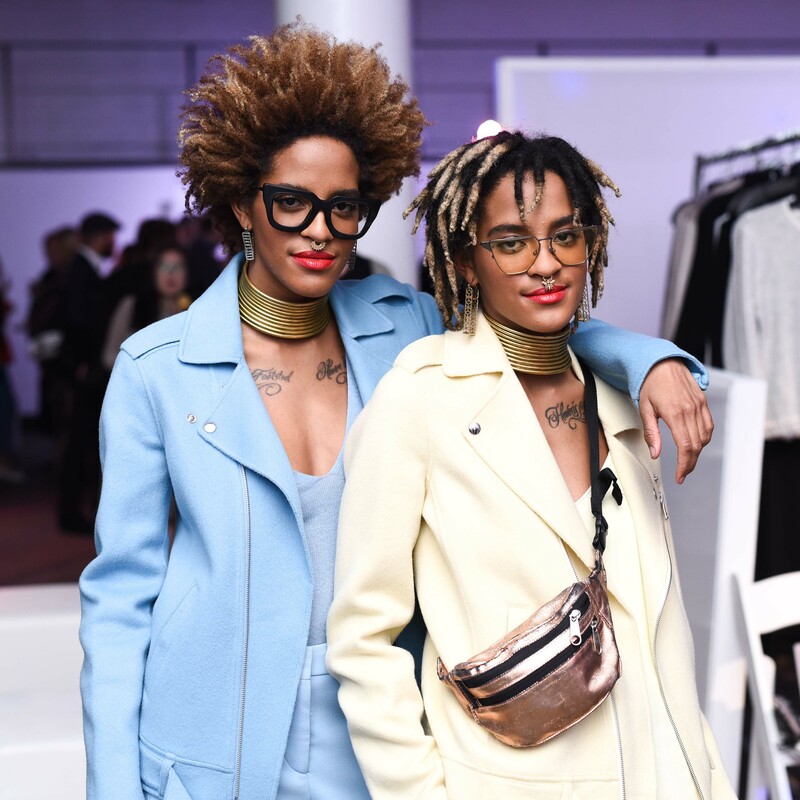 Model Ebonee Davis attends the Meatpacking District's 4th Annual Open Market at Highline in New York City. 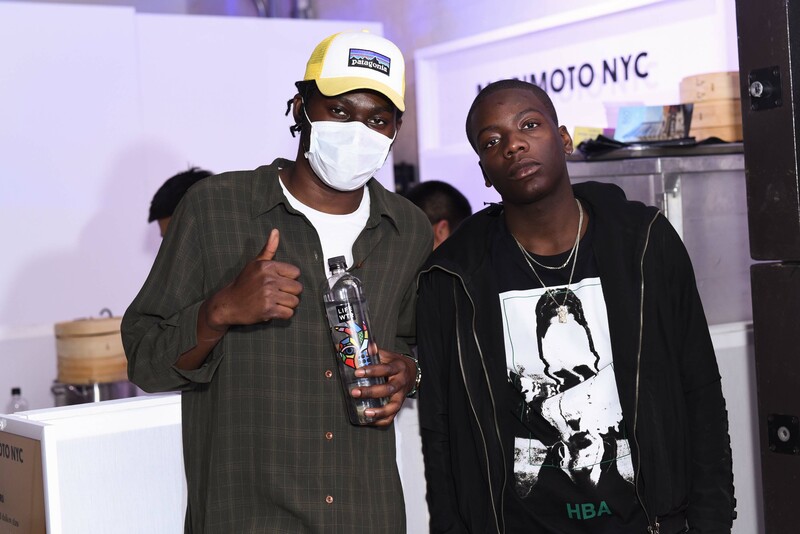 Theophilus London and guest attend the Meatpacking District's 4th Annual Open Market at Highline Stages in New York City. 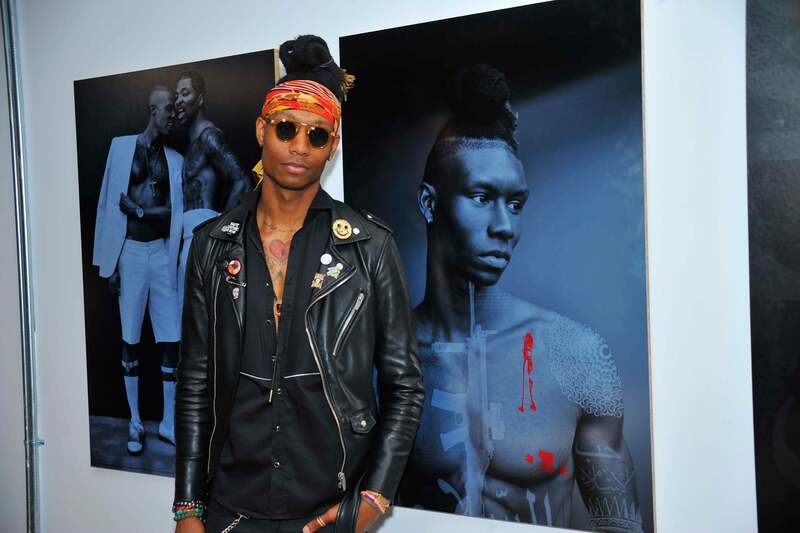 Model Thrash attends Karen Bystedt's "Kings And Queens" exhibition in Los Angeles, California. Ubah Hassan shopping and looking fabulous in Soho in New York City. Marjorie, Ashley and Morgan Harvey head to the Chanel show during Paris Fashion Week. 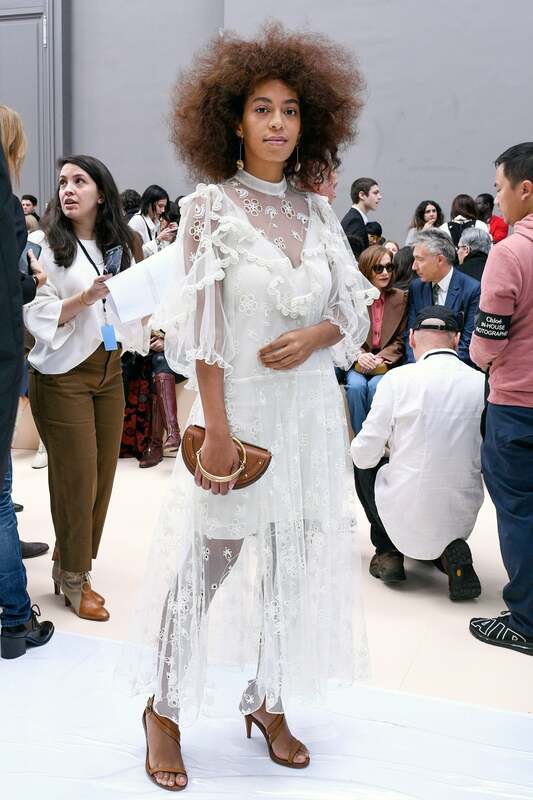 Solange Knowles looks ethereal at the Chloe show during Paris Fashion Week. Zoe Kravitz gets glam at the Yves Saint Laurent Beauty Party during Paris Fashion Week. 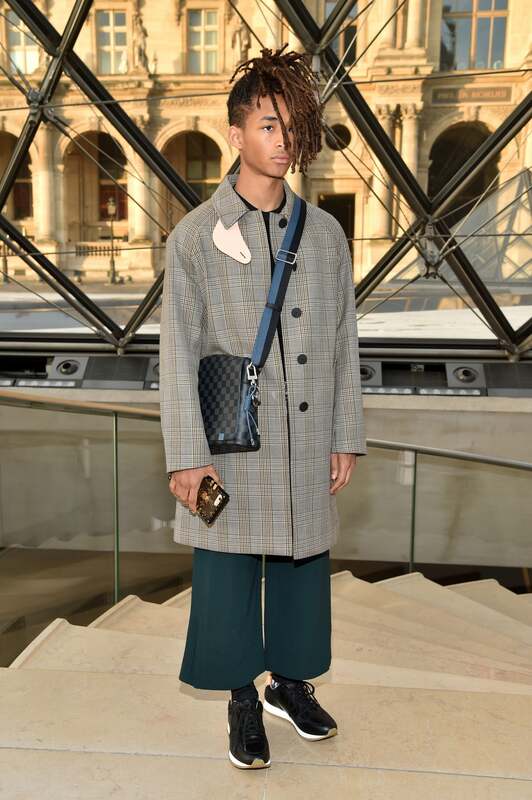 Jaden Smith poses outside the Louis Vuitton during Paris Fashion Week. Rihanna celebrates backstage before her FENTY PUMA by Rihanna Fall / Winter 2017 Collection at Bibliotheque Nationale de France in Paris. 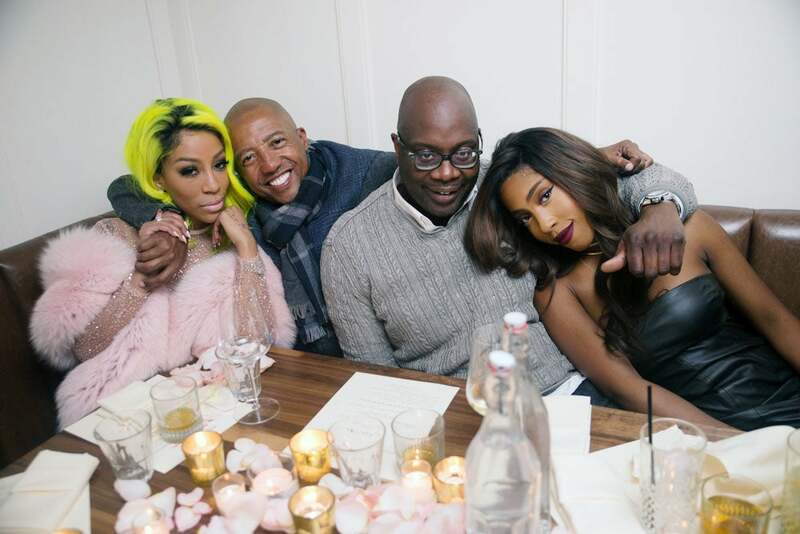 K. Michelle celebrates her birthday at Maison Pickle in NYC. Nicki Minaj makes a daring fashion statement at the Haider Ackermann show during Paris Fashion Week. 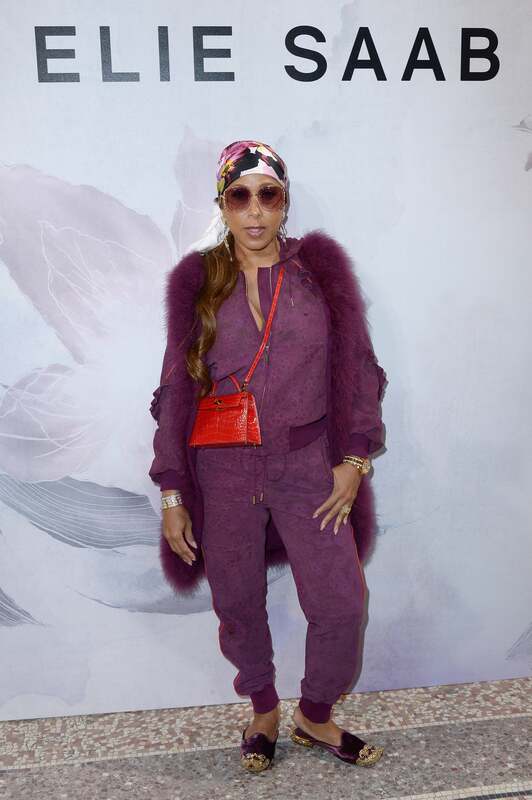 Marjorie Harvey is spotted slaying during Paris Fashion Week. 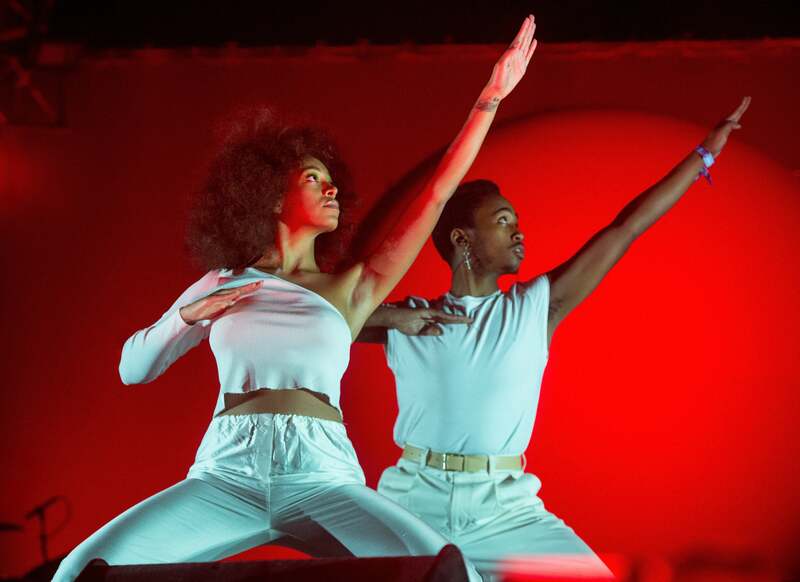 Solange performs during the Okeechobee Music Festival in Okeechobee, Florida. 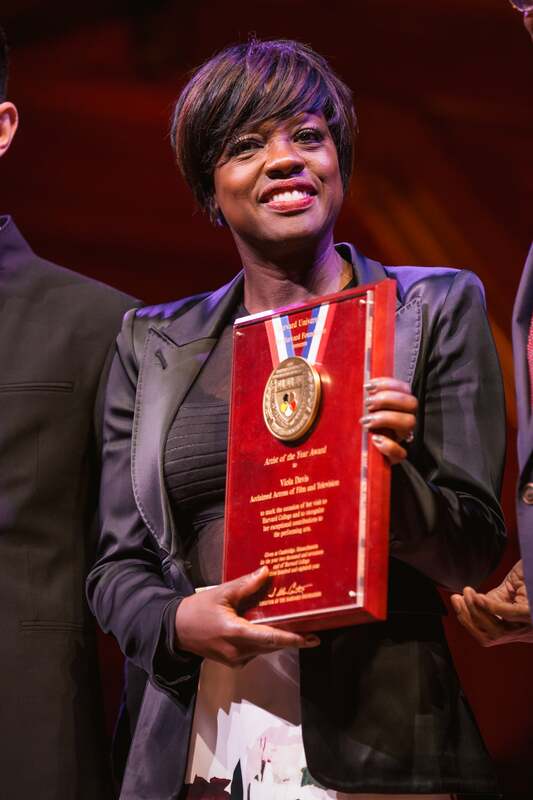 Viola Davis receives the Artist of the Year Award at Harvard University's Sanders Theatre. 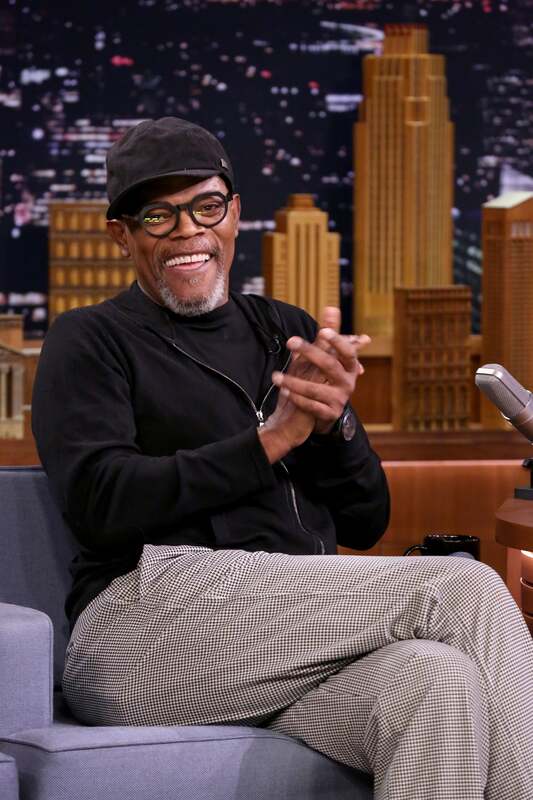 The R&B icon was awarded the key to New Orleans for his efforts in rebuilding the city after Hurricane Katrina. 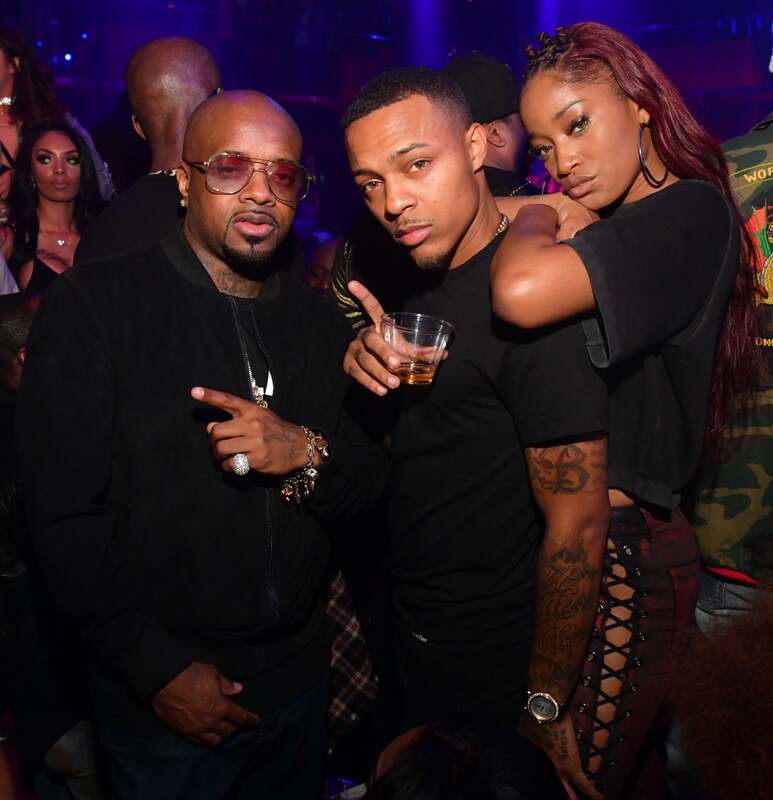 Jermaine Dupri, Bow Wow and Keke Palmer takea group shot at Ladies Night at Gold Room in Atlanta. Porsha Williams and Phaedra Parks pose for a photo after filming Bravo TV's 'Watch What Happens Live" in New York City. 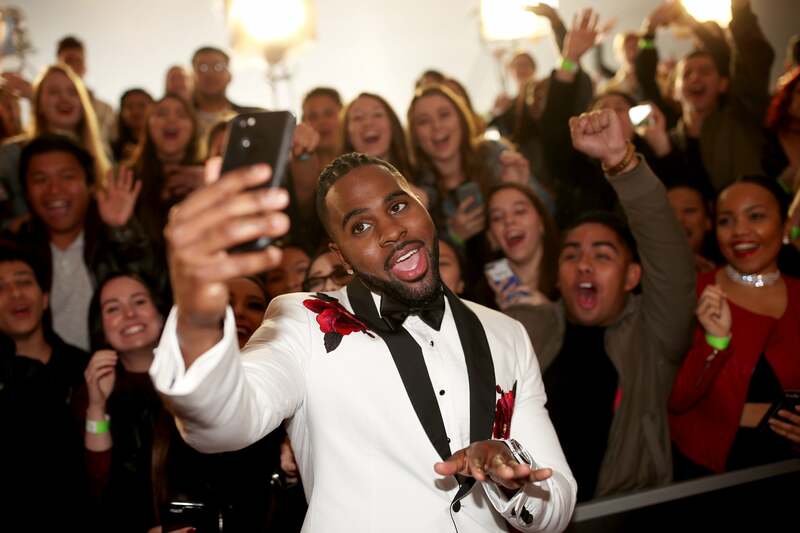 Jason Derulo poses with fans at the 2017 iHeartRadio Music Awards in Inglewood, CA. 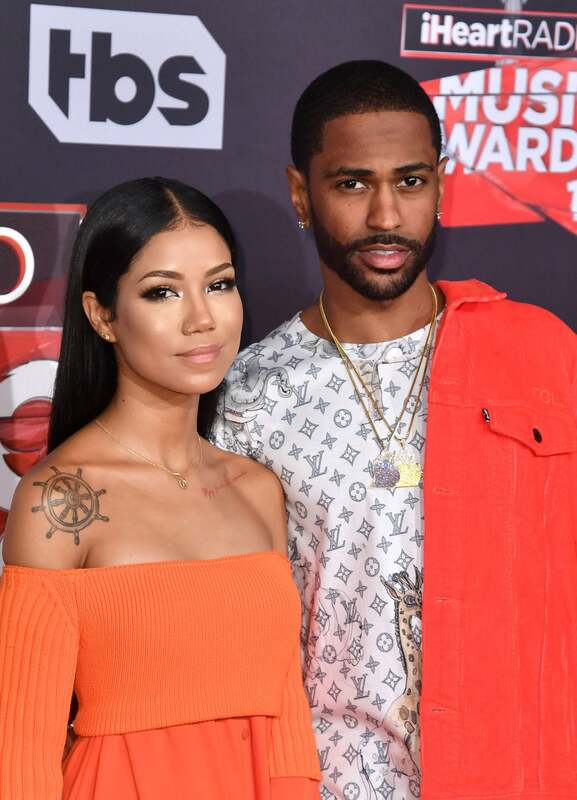 Jhene Aiko and Big Sean make it a date night at the 2017 iHeartRadio Music Awards in Inglewood, CA. Christina Milian shines in silver at the 2017 iHeartRadio Music Awards in Inglewood, CA. Karrueche Tran rocks an all read look at the 2017 iHeartRadio Music Awards in Inglewood, CA. 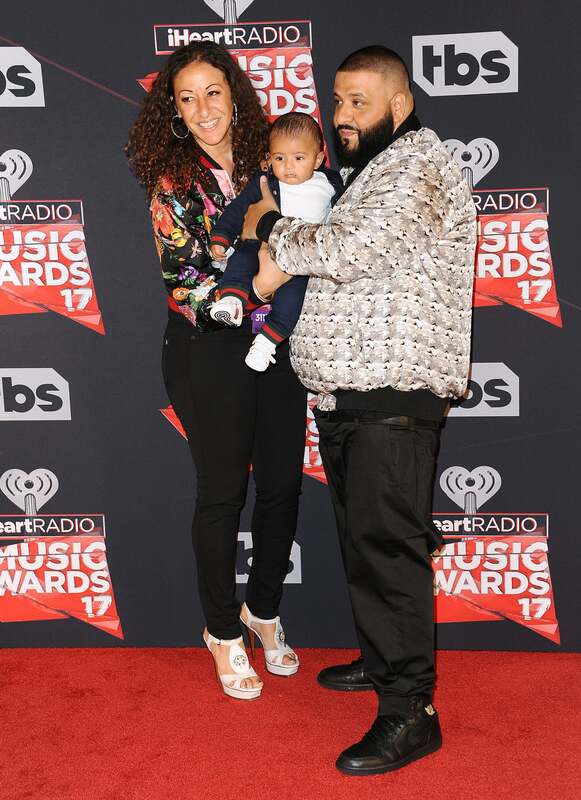 DJ Khaled, Nicole Tuck bring their adorable son Asahd Tuck Khaled at the 2017 iHeartRadio Music Awards in Inglewood, CA. 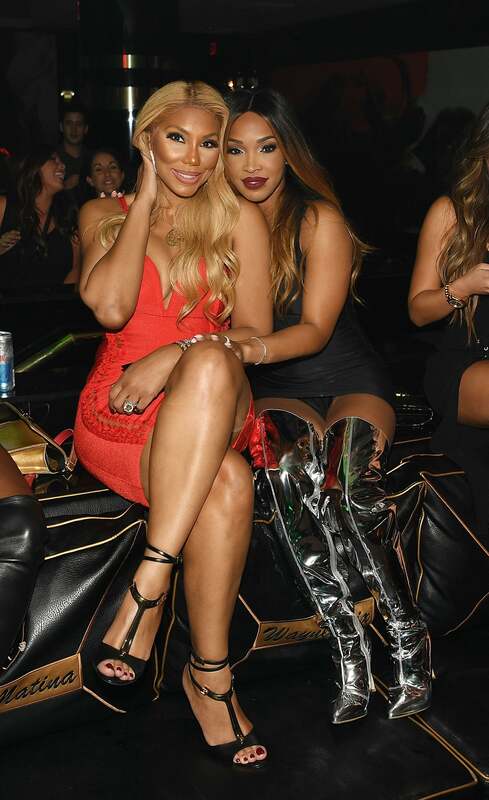 Tamar Braxton and Malika Haqq celebrate Malika's birthday at 1 Oak Las Vegas. 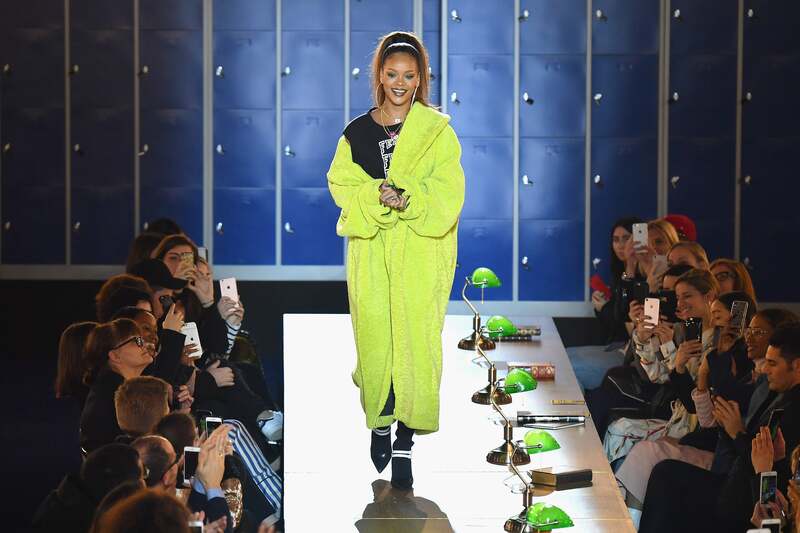 Rihanna talkes a walk on the runway during her FENTY PUMA by Rihanna Fall / Winter 2017 Collection at Bibliotheque Nationale de France in Paris. 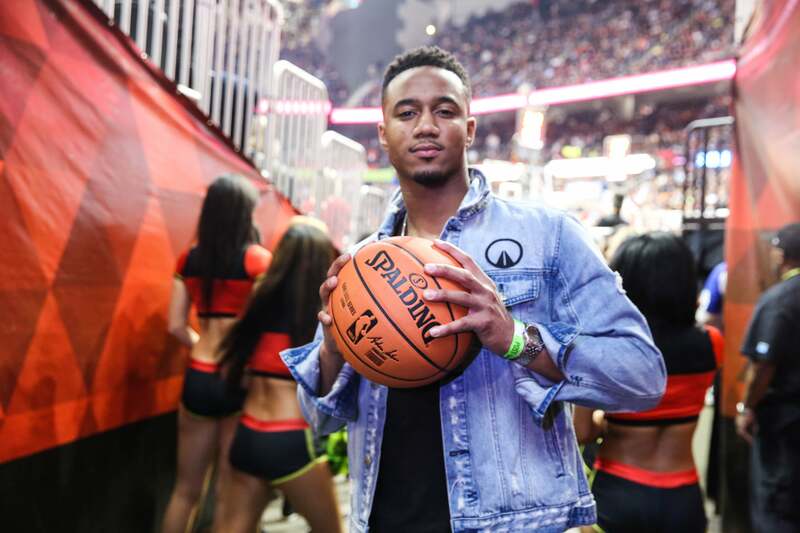 Jessie T. Usher gets ready for the Cleveland Cavaliers vs. Atlanta Hawks in Atlanta Georgia. Lady in red Teyonah Parris attends the 2017 Black Women Film Summit - "Untold Stories" awards luncheon at the Atlanta Marriott Marquis. 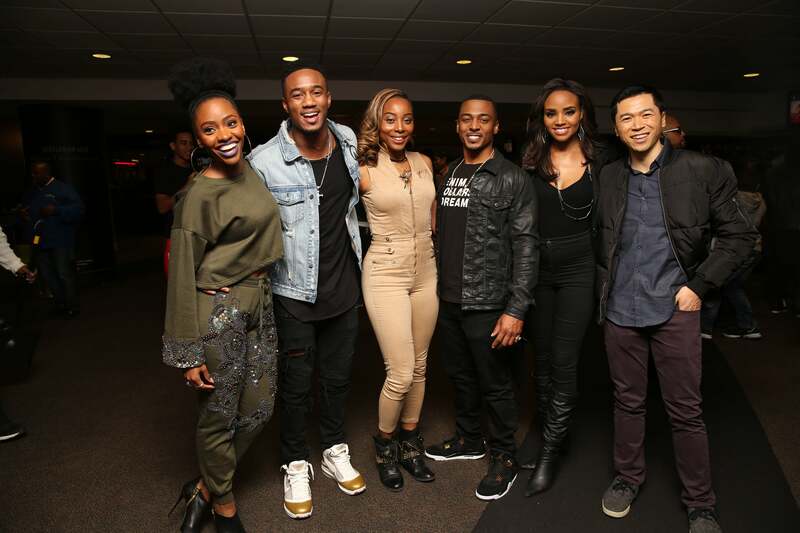 Teyonah Parris, Jessie Usher, Erica Ash, RonReaco Lee, Meagan Tandy and Robert Wu pose for a group pic at the Cleveland Cavaliers vs. Atlanta Hawks game at Philips Arena in Atlanta. Ice-T and Coco enjoy cocktails at Endless Happy Hour at TGI Fridays in New York City. FKA Twigs is spotted out in a spring green jacket while strolling in Soho, New York City. 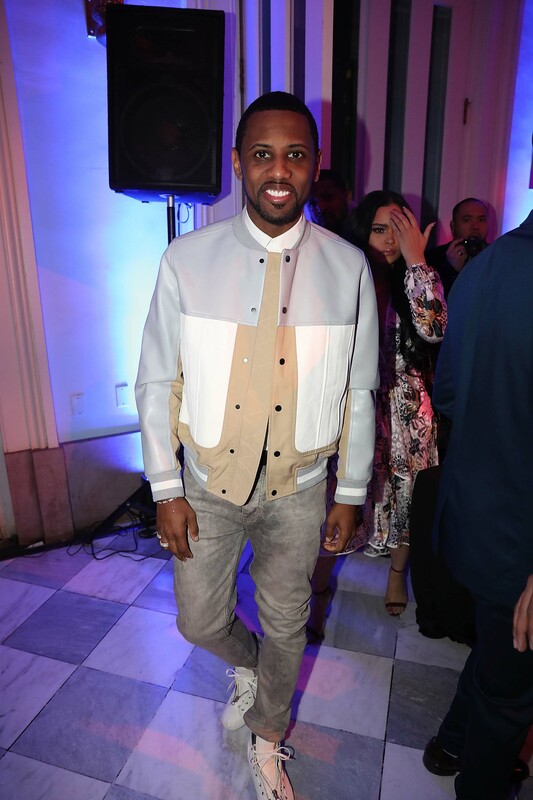 Alicia Keys and Swizz Beatz arrive for their dinner date at arrive at 'LAPEROUSE' restaurant in Paris. 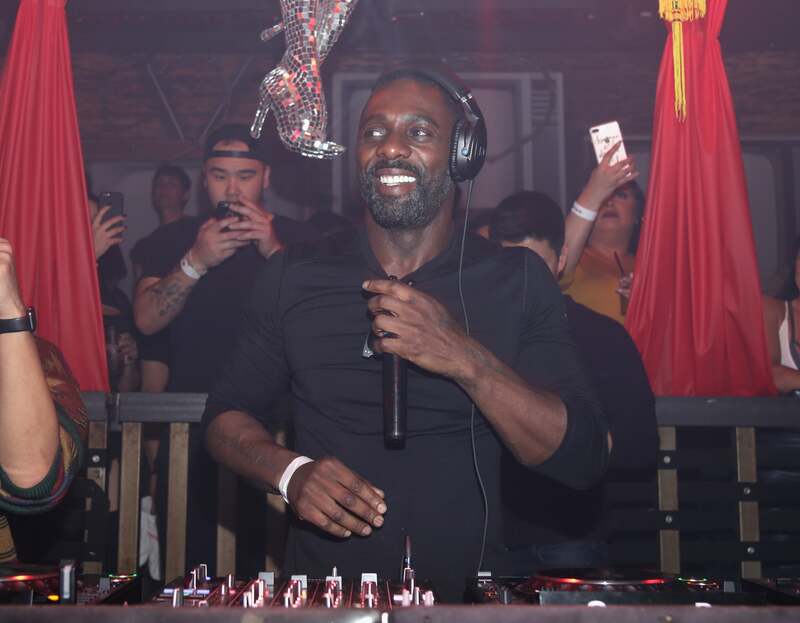 Idris Elba breaks out the ones and twos as he DJ's the Skream 4 Rhonda event at Sound Nightclub in Los Angeles. Winnie Harlow strolls through the streets of Paris for a night out. Alec Wek sends loving vibes at the Heavensake 'A Better High' Awareness Performance at the American Cathedral in Paris during Paris Fashion Week. Azealia Banks is spotted entering the Heavensake 'A Better High' Awareness Performance at the American Cathedral in Paris during Paris Fashion Week. 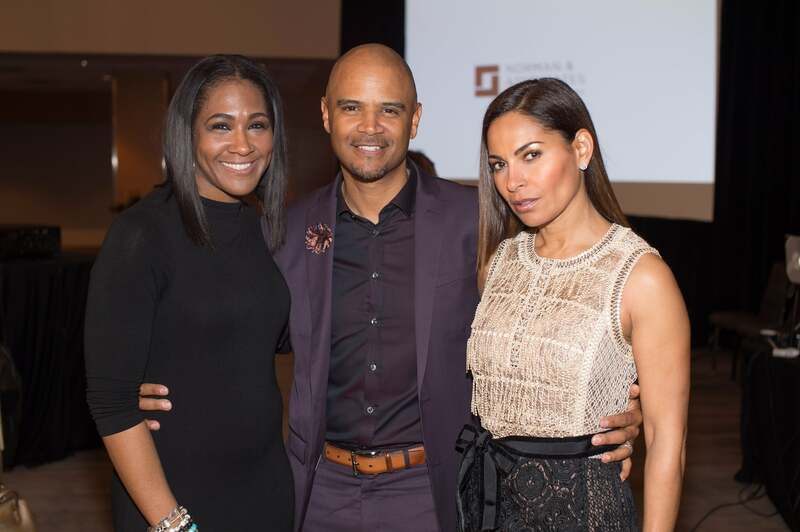 Terri Vaughn, Dondre Whitfield and Salli Richardson Whitfield pose for a pic at the 2017 Black Women Film Summit - "Untold Stories" awards luncheon at the Atlanta Marriott Marquis. 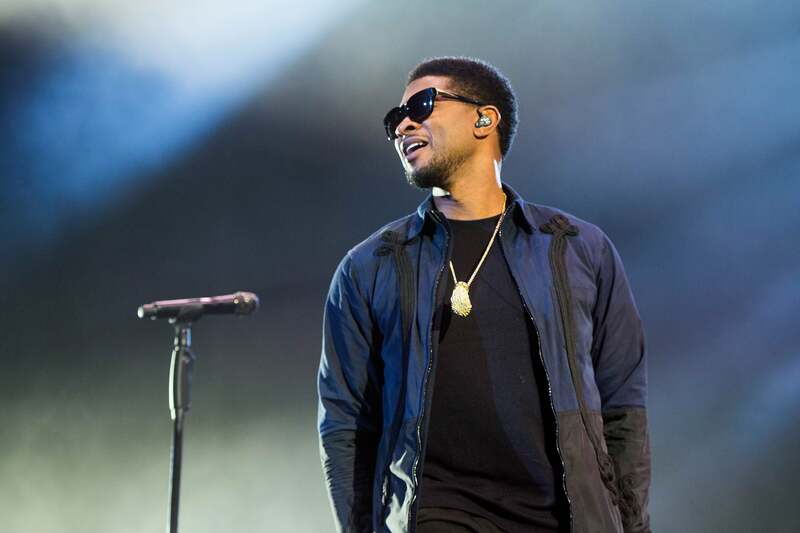 Usher heads into Ladies Night at Gold Room in Atlanta. Nicki Minaj wears a killer pair of silver boots at the H&M Studio show during Paris Fashion Week. Model Grace Bol is all smiles at the Balmain aftershow party during Paris Fashion Week. Marjorie Harvey is royal in purple at the Elie Saab show during Paris Fashion Week. Aja Naomi King flashes a smile at the Miu Miu show during Paris Fashion Week. Pharrell Williams poses with Karl Lagerfeld at the Chanel show during Paris Fashion Week. 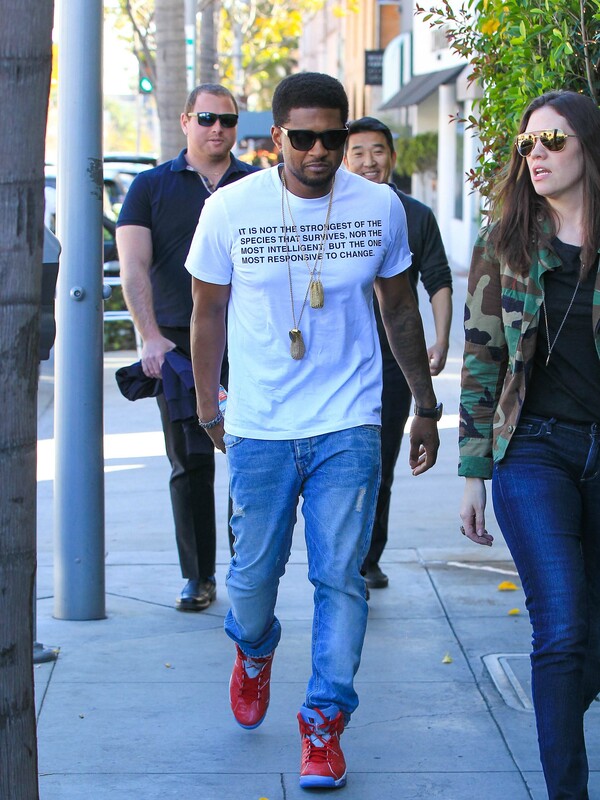 Usher taking a stroll in Los Angeles, California. Normani Kordei attends the 11th annual Stars and Strikes Bowling Tournament at PINZ Bowling & Entertainment Center in Studio City, California.